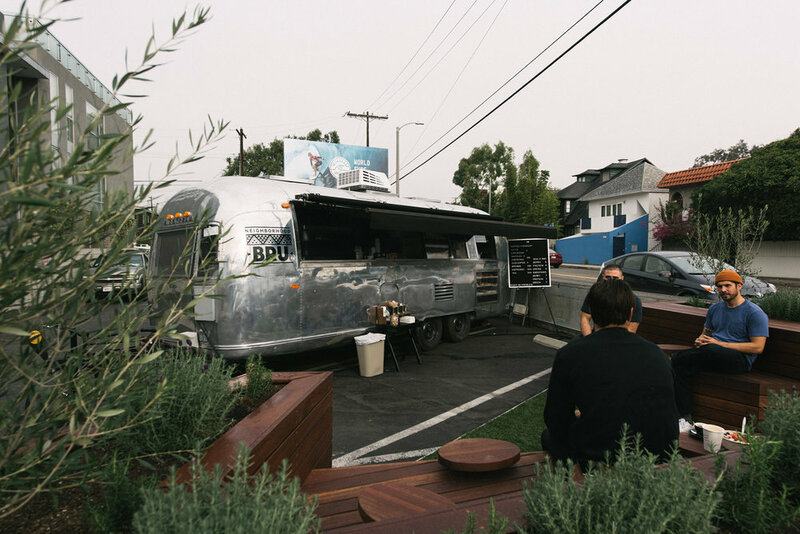 Located in the heart of Venice, we give you; Neighborhood Bru. grinding the shakiest coffees and blending the most irrisistable bowls. 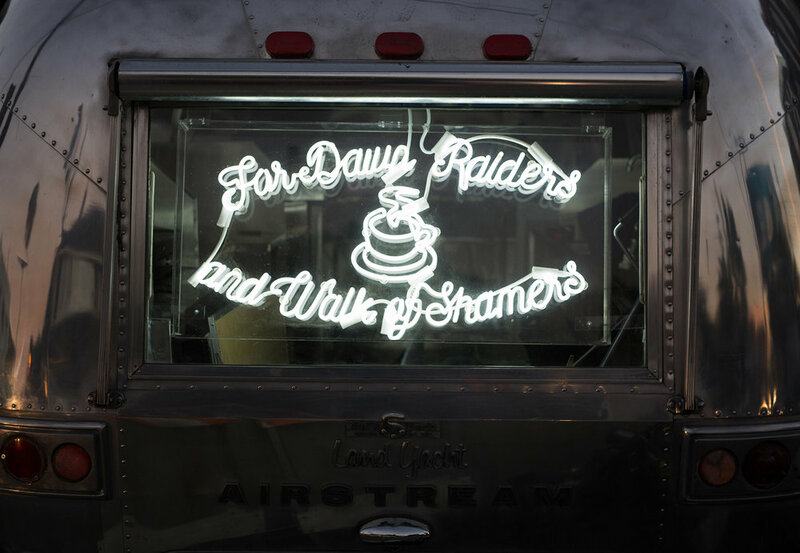 "for dawn raiders and walk of shamers." Adore a good cup of coffee? Us too. So much so that we caved into our primal caffeine urge and opened a new coffee shop on the corner of Brooks and Pacific. After coating our teeth with every brew beneath the sky (shaky hands and all), we landed on Mad Cap, a specialty roaster from Michigan. 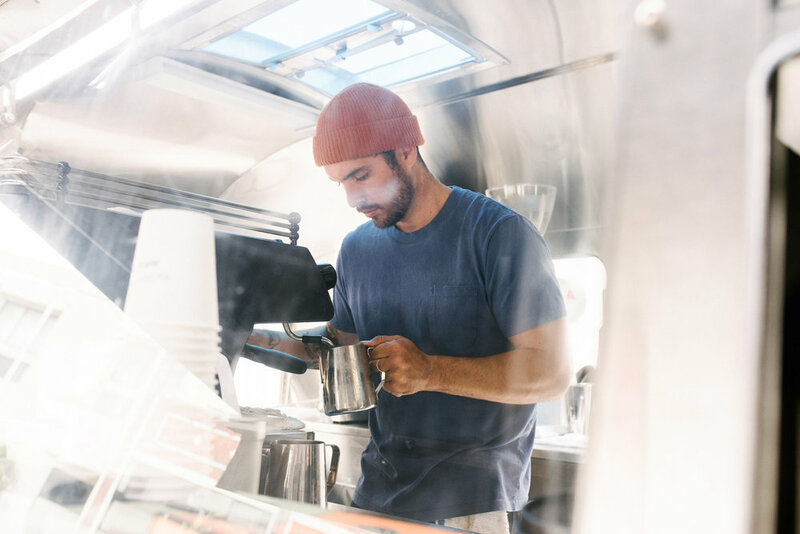 We decked out an Airstream, parked it in our lot and built a cozy parklet for your coffee enjoyment, because what's a good cup without a good vibe? 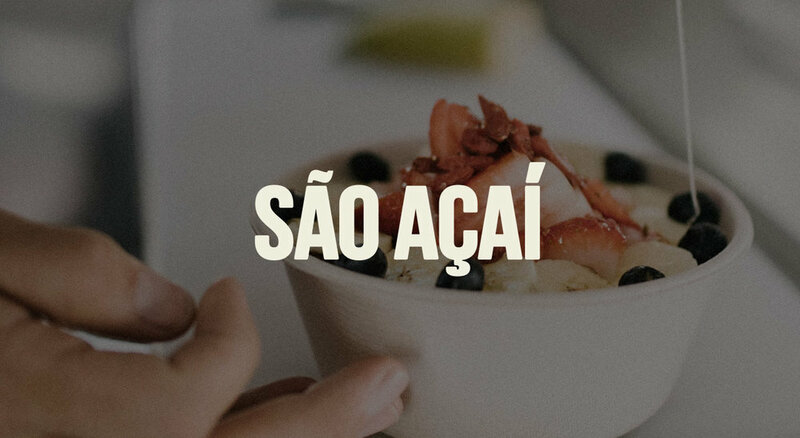 We’ve also got Acai Bowls and smoothies by Sao Acai for the health freak inside, and pastries for when you're feeling naughty. Blend: acai, almond milk, banana, blueberry, raspberry and strawberry. Toppings: granola, banana, strawberry, blueberry, goji berry, honey. Blend: acai, almond milk, peanut butter, banana, strawberry, hemp protein. Toppings: granola, banana, honey. Blend: acai, apple juice, banana, blueberry, strawberry, kale, spinach. Toppings: granola, banana, strawberry, blueberry, honey. Acai, almond milk, banana, raspberry, blueberry and strawberry. Acai, banana, strawberry, almond milk, peanut butter, hemp protein. Acai, spinach, kale, banana, apple juice, strawberry, blueberry. Neighborhood Bru is by General Admission.